Cēsis is a beautiful city, situated in the Gauja National Park, an hour and a half from Riga. The town draws many visitors who come to admire the romantic ruins of Cēsis castle, the immaculate parks, ancient churches, the caves and the stunning Gauja river cliffs, as well as take part in medieval festivals and open air opera events. It is a place where nature, adventure, history and culture come together. 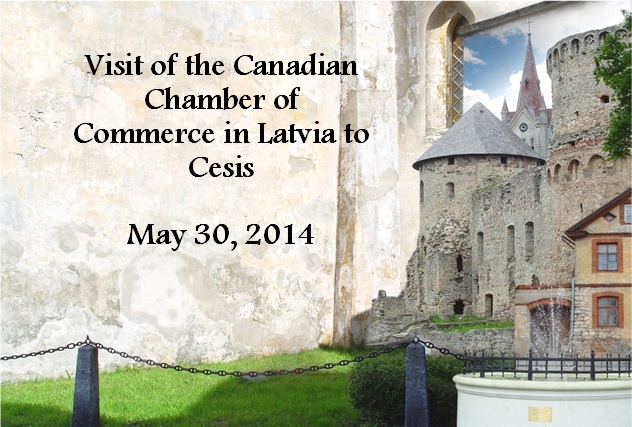 During this one-day visit you’ll have an opportunity to learn more about the business environment in Cesis, to meet creative and enthusiastic people from the local municipality and companies, and to see current and recently completed projects such as the newly-built concert hall. The company visits will be organized according to the preferences expressed by the members of Chambers. Option 1: SIA “Staļi”. The leading wood-processing company in Latvia, founded in 1992. Option 2: SIA “Recro”. One of the most sophisticated automatic transmission remanufacturing and testing facilities in Europe. Option 3: SIA “Vinnis”. Producer of various honey delicacies and garnishes’distributes products to the stores and wholesale warehouses. Option 5: SIA “Wendi Toys”. A producer of outdoor playgrounds for domestic use. Option 6: Farm “Kilģēni”. Flower and flower seedling, growing, retailing and wholesale sales. Vegetable gardening (tomatoes, cucumbers) retailing and wholesale sales. Option 7: Children’s Science Centre “Z(in)oo”. Established with a purpose to unleash the children’s curiosity, Zinoo has become a very popular attraction among local community and visitors.